Our current showpiece is a Steinway Model C from 1899. This rare piano has a Victorian style case. It is fully rebuilt and is a concert level instrument. We have installed the latest Stanwood innovation — The Stanwood Adjustable Leverage Action (SALA). This revolutionary design allows the pianist to change the touch to suit their mood and the music being performed. Russell Hirshfield a Professor of Music at WCSU had this to say after playing the piano. 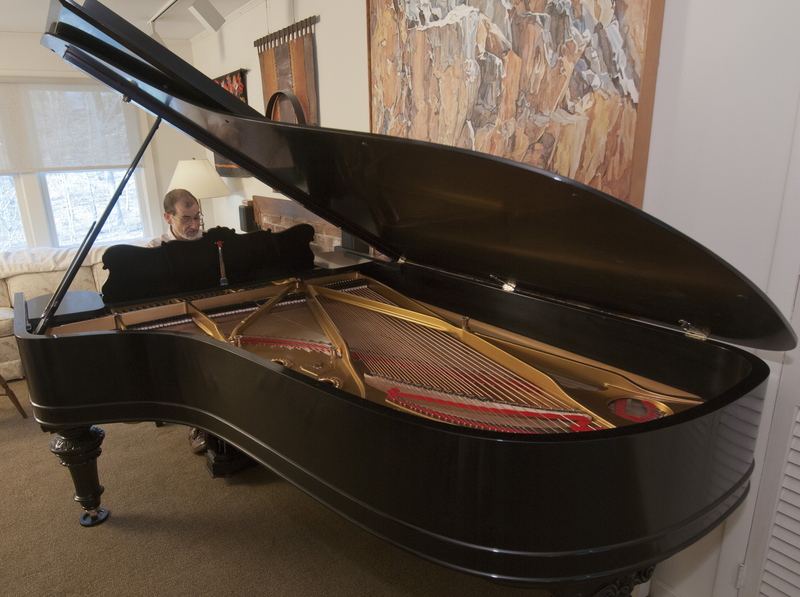 We recently hosted a musicale for the benefit of Copland House and are proud to offer this instrument for sale.